Waterproof, crayon and child proof! Lime Tree is not only a beautiful floor-covering, it also stands up to the most demanding of installations. The faded grains and knots with subtle oak tones create a very pronounced real wood effect. 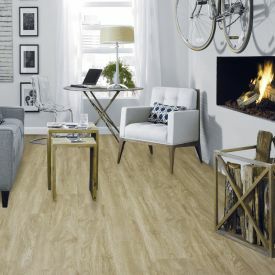 This Vinyl tile doesn’t let you compromise on the beauty of your floor when you’re looking for durability and low maintenance. Gerbur Aqua Click-Lime Tree is crafted to withstand the toughest environments from a child's nursery to a busy hotel foyer. Like all our Gerbur Vinyl flooring, these vinyl tiles are made from environmentally friendly sustainable materials which are 100% recyclable.